To Schmid cleaning, a house isn’t clean unless there is a smile on your face when we’re finished. To us, a clean house is the shine and long lasting small of freshness that we leave behind. A clean home is essential not only for your physical health, but also for your mental health, by keeping dust and allergens out of your home as well as stress and discomfort out of your life! 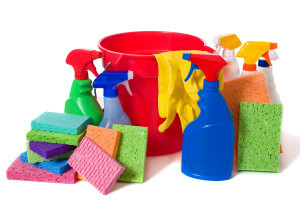 Schmid Cleaning can clean any space you require, but our specialty is residential homes. The standard for cleanliness is higher in people’s homes than in any other space and we believe that our attention to detail is best suited to meet the expectations of the most particular home owners. We take pride in our work and the cleanliness of your home will reflect that. Schmid cleaning offers scheduled cleanings on weekly, bi weekly, monthly, and other intervals. These are the best way to keep the amount of cleaning you need to do down to a minimum, or eliminate it completely depending on frequency. How often we clean is up to you! We also offer one time cleaning service for the holidays, fall cleanings, spring cleanings, moving in/out cleanings, cleanings for parties, and anything else you can think of. Contact us today for more information.